So...it is what I have lovingly nick named "hell week". Everything has to be finished off by the Level 1, 2 and 3 groups and parceled up ready to be picked up next Tuesday morning. Unlike last year, when I had to print off everything that the students had put on their Google sites in order to send it away, (link to blog post here) this year I am able to send away the original drawings plus links to the student sites. So all their notes and research can stay on the site and not have to be printed this year. So, the Google URL shortener will be used to the max!! The plan is to put one printed sheet into each bag with the students original drawings. That sheet will have links to the students Google sites with all their project work on. I am a coding fan! Last Friday, I was lucky enough to be invited along as one of the staff on a Year 10 trip to MIT for lesson one of a three lesson coding course. They were very patient with us as we learned the basics and spent time putting it into practice. The students were a mix of complete novices like me and some with experience from lessons at school. I was hooked immediately. I loved that what you were doing could be viewed straight away in a browser, so you could see your progress. This appealed to the Graphics teacher / visual learner in me. We got up to style sheets by the end of the afternoon, but the last 20 minutes of that went right over my head as I was suffering from brain melt. They promised to go over that gain at the start of the next lesson. I hope so. So I spent all weekend practicing what we did on Friday and then decided to buy a copy of "Beginning HTML5 and CSS for Dummies". With this together and the w3schools.com website, I started to experiment with different things. 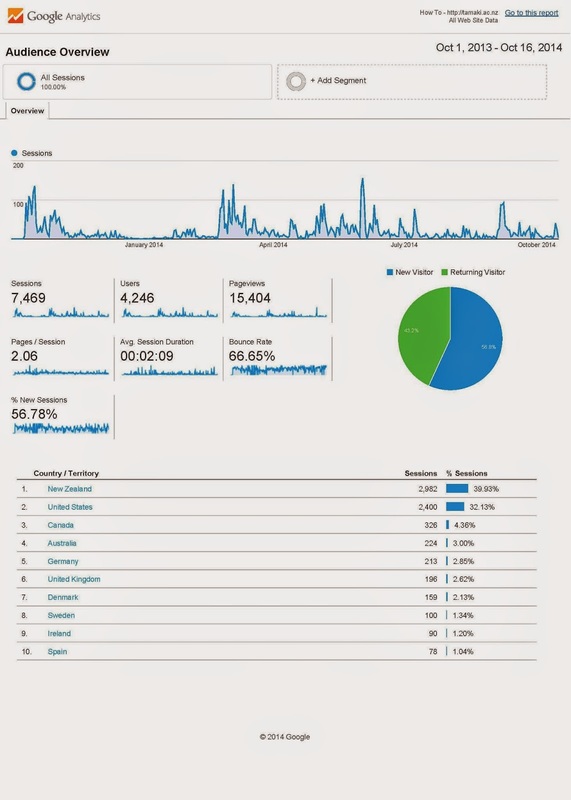 I have looked at tables, images, videos and mapped images over the last three days and am feeling good about where I am up to in less than a week. My next step was to find some free hosting. I didn't want to pay up for something so looked for some free options. I opted for 000webhost.com as they offered a good amount of space for free. So far I have been designing a site that could be used next year by my Level 2 students, so I am doing a site with information about design eras, starting with Art Deco. I have 4 pages and a navigation bar to move between them. Here is the link to the site - there are some blank areas but not too bad. I have been using photoshop to make the graphic elements like the header and the navigation bar. I find that I am working on it in little slots of time all day. I don't seem to be able to stop fiddling with it!! I think I might be addicted!! Here are the students last Friday after a busy afternoon coding. They look happy!! I am hoping that if I get any students in DVC that are also on the DIGI trades course, then they will be able to make their own website as their design portfolio instead of using Google sites. It opens up all sorts of possibilities. It has been a year since I started the Tamaki College How To site. This was to offer support for online needs. I have been amazed at how much it has been used over the last year, and not just at school. 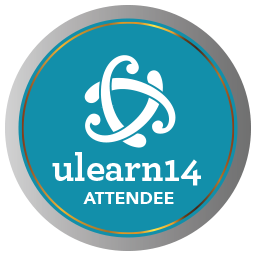 I was at uLearn 2014 for the Thursday and Friday this year. I spent Wednesday in Wellington having a great time with some of my students at The Weta Cave and WOW. My notes that I made on a Google doc during the breakouts I attended at uLearn are here. On Thursday morning I sat in on Yoram Harpaz's breakout - Teaching Thinking - A guide for the Perplexed. He asked a lot of very interesting questions that really got my mind working. He states : "there is no such thing as a general good thinker" , with strengths lying one way or another. We need to teach students how to be good thinkers and how to deal with the vast wealth of knowledge that is at their finger tips. It should not be a teachers job to teach the knowledge any more, but to help students analyse and use what is out there. The skills approach - strategies, frames of thinking. Thinking tools and efficient use of them, thinking frames. This is what we have. The dispositions approach - most important element - intellectual traits. motivated patterns of thinking, cognitive traits. Questioning, an original idea stimulates resistance, not just going along with everyone else. This is who we are. The understanding approach - relations , performances. Friday morning was spent with Tevor Bond talking about making question askers not question answerers. The art and science of asking questions is not taught at school. Do we create an environment that discourages asking questions? Who asks the most questions in the class? teachers or students? At home, before they start school, children ask 50% of the questions.This is not a trend that is continued at school. Why not? By the time they are in preschool, 5% of the questions are coming from students. How long does it take for negative signals to come as a response to a child's’ questions? How many negative responses before switch off time for the student and they give up asking questions as it is seen as a bad thing? In primary school, it is a 1 in 8 ratio of student / teacher asking the questions. In high school, 99.98% of the questions come from teachers, with .02% from students. How can I use the "concept design" stage of a graphics project to put the students into positions of "cognitive discomfort" ? They need to learn to accept that not all design ideas work and that is a good thing not a bad thing. They need to learn to fail with their design work and to be able to learn from that and move on, not throw those sheets in the bin and only keep the "good" ones. How can I use the design process that we use in Technology to encourage the students to be the question askers? How can I use blended learning approaches to give all students access to asking questions, not just the ones picked from a "hands up" session? Some obvious solutions pop into my mind straight away in the form of Google Drawings and Padlet, where the students can put their questions and also be involved in the answering process. I will try this on each topic / project and see if the students are comfortable using these and get some feedback from them. As usual, uLearn was a great chance to meet members of my PLN in person, and not just as really small pictures on screen! !